Hachimaki is a Japanese headband worn as a symbol of perseverance or effort by the wearer. 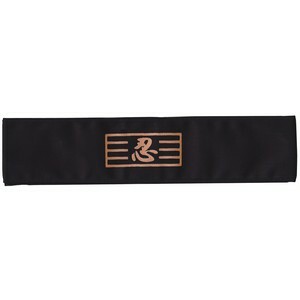 This hachimaki shows the character nin (忍) meaning perseverance. This kanji is used in the word ninja (忍者), a spy or assasin in medieval Japan.